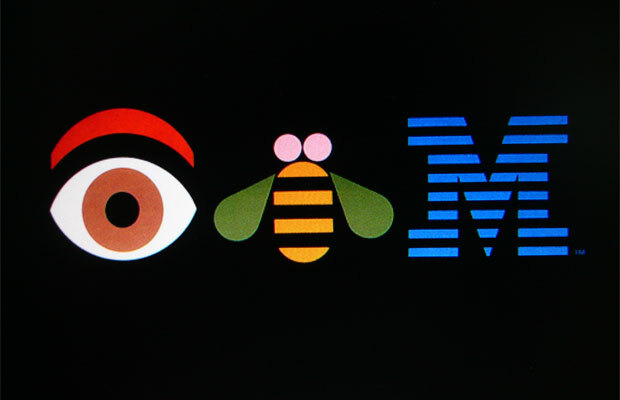 The 1981 Eye-Bee-M rebus is Paul Rand’s most iconic poster (the equivalent, say, of Lucian Bernhard’s Priester Match or Milton Glaser’s Dylan poster). 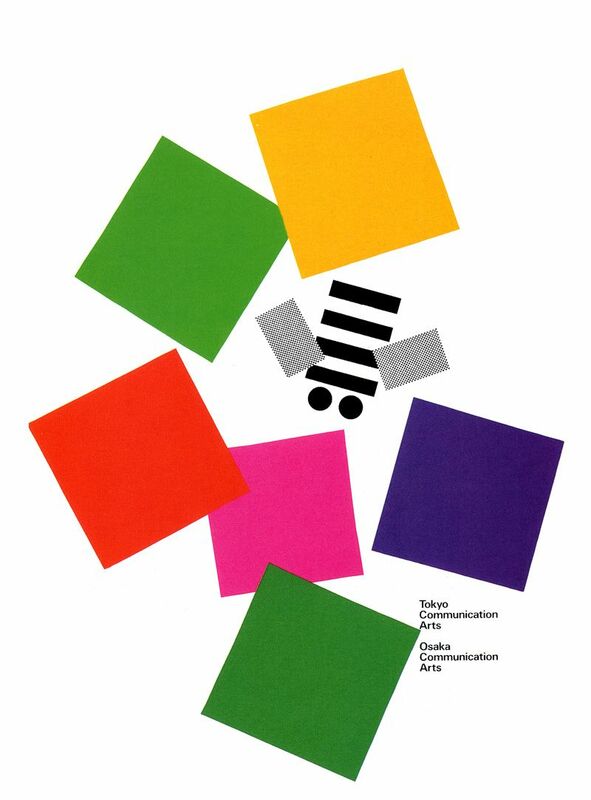 It has become synonymous with the playful side of his IBM design direction—and a little controversy arose because the higher-ups believed that by toying with the sanctity of the corporate logo, the floodgates would open to anarchy. The poster became a classic because it humanized the corporation. 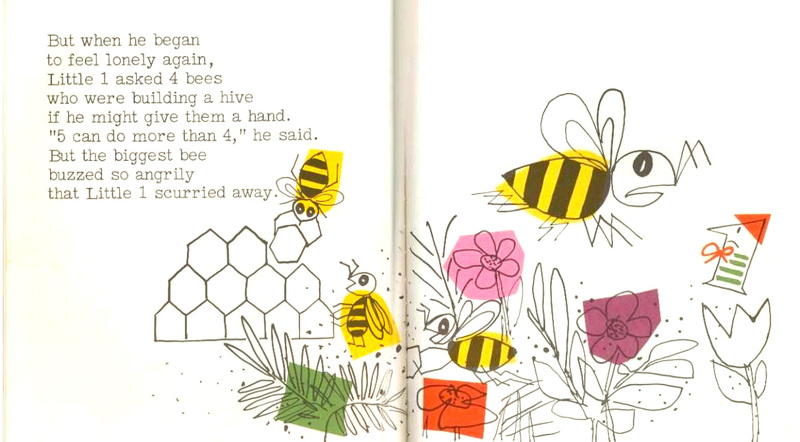 It also revealed Rand’s little-known interest in apiary, as bees play a small though significant role in Rand’s oeuvre. Rand’s last retrospective prior to his death was at the Cooper Union from October 4 to November 8, 1996 (curator Georgette Balance). During his penultimate public talk with me as interlocutor at Cooper Union’s Great Hall a month before he died on November 26, 1996, he talked about how nature influenced his work. To underscore the point, the cover image on the accordion-folded timeline/catalog accompanying the exhibit was a leaf—a simple high contrast impression that was ghostly yet beautiful. 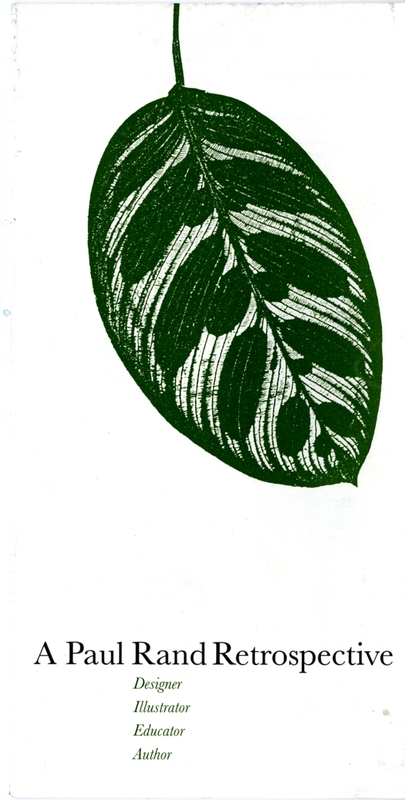 It was like leaves within a womb that was the larger leaf. Printed in a dark forest green, Rand extolled its perfection. There was absolutely nothing, he said, in the man-made designed world that could equal its exquisite shape, pattern—or its internal logic and inherent abstraction. It made me want to explore how else nature influenced his work, which was not a difficult task because he transformed so much of what he encountered in his world—especially in his garden—into graphic elements. Of these natural wonders one sticks out more than any other: the common bumblebee. 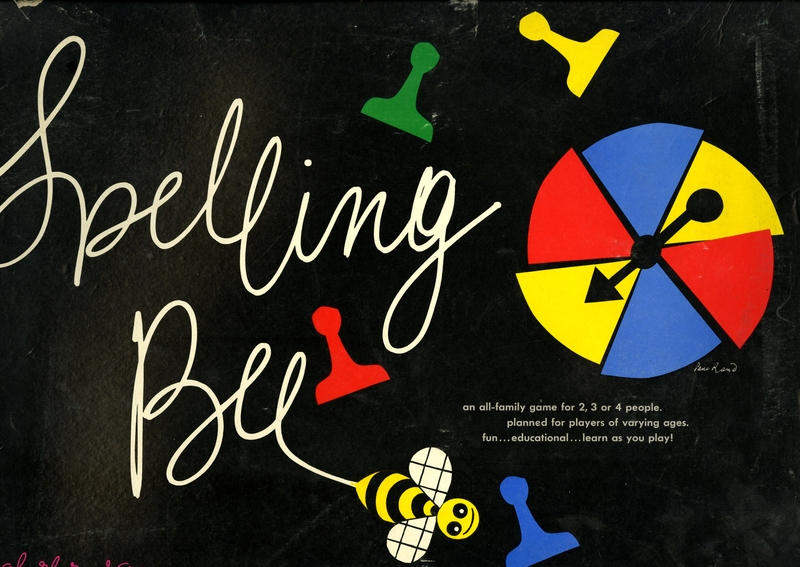 He made his bees from circles, rectangles, triangles, and bright colors. They were playful and powerful. The IBM rebus was just one of his favorite abstractions. Although he was not as obsessed with bees as Cezanne with apples and pears or Morandi with vases and bowls, Rand’s bees were the perfect evocation of how he used geometric form and primary color to evoke representation and symbol. It is, therefore, no coincidence that when Rand painted for the pure pleasure of making pictures, his subjects were mostly of nature and natural things—although, paradoxically, in these paintings there were no bees to speak of.